Our vintage furniture casters and furniture feet are the perfect way to protect and add a vintage touch of style to your bureaus, desks, dressers, file cabinets, office chairs and more. 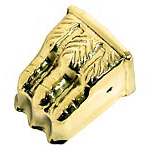 Antique table claw feet protect your furniture while bringing an extra touch of charm, while vintage furniture wheels provide functional beauty. 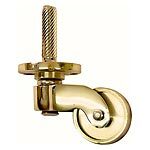 All feature solid brass construction and a minimum two year warranty.